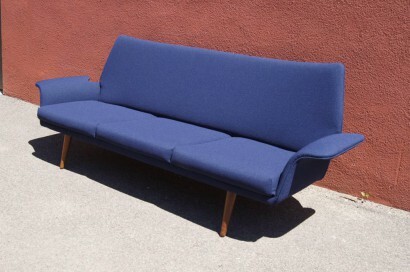 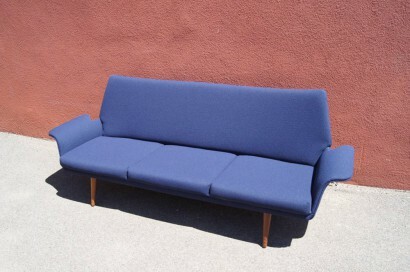 A wonderful example of Danish modern design, this three-seat sofa rests lightly on splayed legs. 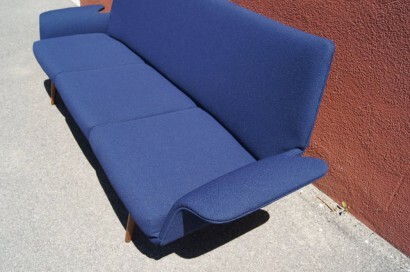 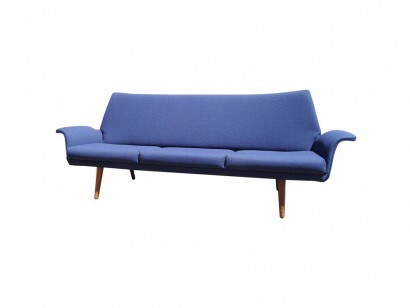 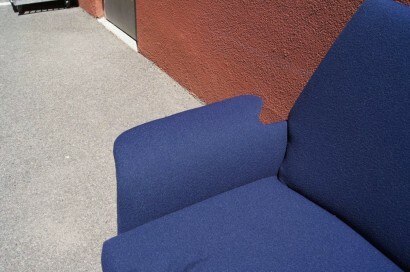 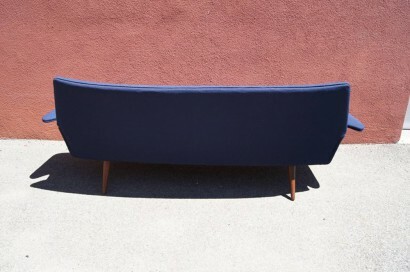 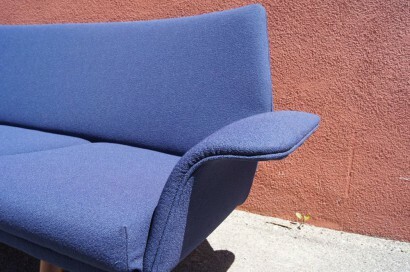 Its playfully curved frame has been newly upholstered in Knoll’s Swing textile in Banker Blue. 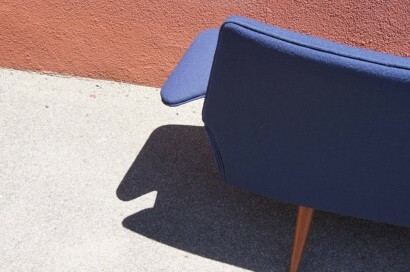 Depth: 30" Seat Height: 14.5"